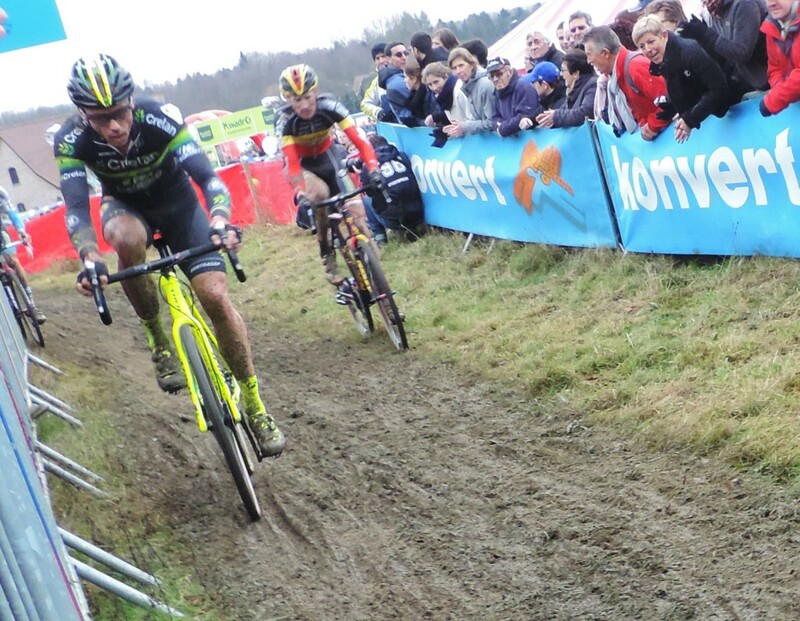 On the seventh day of CXmas there was GP Sven Nys in Baal. I found a convenient spot to park my bike opposite the stall selling the new Marlux-Napoleon Games kit, and locked it up, hoping that it wouldn’t slide into the ditch, and made my way in. The Guys would be coming later, so for the moment I was on my own. There was mud. Not as much as there could’ve been, but plenty to go round and the worst parts (for the riders) were probably the bits where there was just a thin layer over hard ground making for a very slippy surface. As a spectator the worst bit was on the course side of the hill which is a wee bit steep and the top mud layer extremely slippy, even with grippy soled shoes. There will no doubt be muddy knees in fashion around here later. (for fun mud description please see Aussie CXer Lisa Jacobs website ridehappy.com.au/journal/2016/1/14/lisas-mum-answers-your-cx-questions-the-mud-spectrum ). 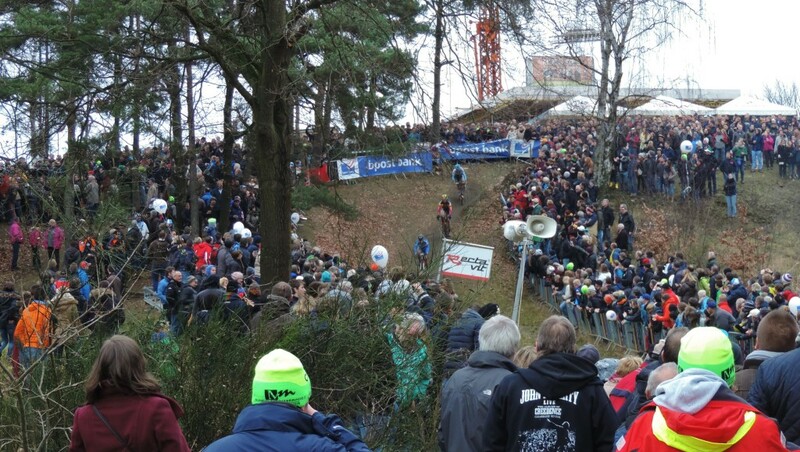 This course has a little of everything for the discerning CX fan: logs to jump over, stairs to run up, chicane, hairpins, long uphills with energy-sucking mud, scary descents, little ditches and the long, uphill finish. Almost anywhere on this course you get something to see. 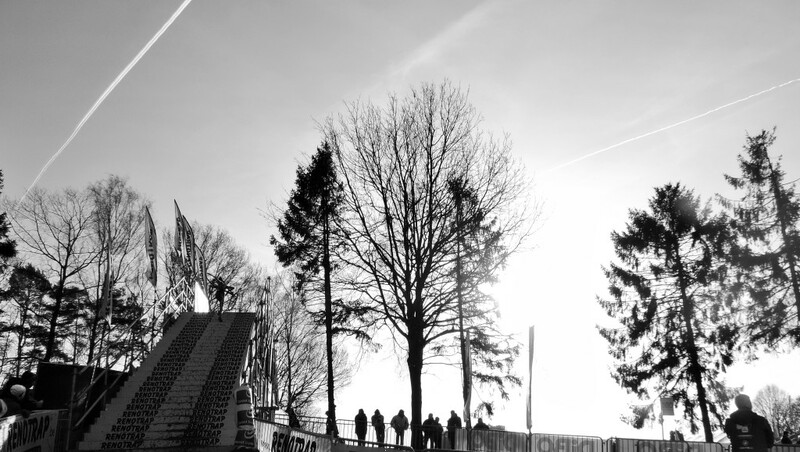 I was able to get a good view of the course while the Juniors were racing and congratulation to Seppe Rombouts, adding another win to his season, a full 10 seconds clear of Tijl Pauwels and Arno Debeir completing the podium. Time for coffee and I ran into one of The Guys in the queue for refreshment tokens so we went to the stripey beer tent together. He started chatting to some other bloke in the tent though so I headed back out to the course and the big logs (what is that song about?) are right by the side of the tent. I guess the amount of traffic and spilt drinks may be responsible for the mud in this area. So, on with the show and the U23’s are on the course and despite Daan Hoeyberghs superlative start this is one for Quinten Hermans – or so we thought until Thijs Aerts caught up and pushed him all the way to the finish line, but Quinten was too good on the day. We got our first views of the new Crelan-Vastgoed Service kits with Yannick Peeters and the Marlux-Napoleon Games kit looked smart on Yorben van Tichelt. We have a nice long break between the U23 and the Women so I was on my way to the campervans when I ran into Wei again. You don’t see someone for years then they’re everywhere! I am a natural worrier so had to check on my bike on the way to the buses. I am pleased to say that not only had it not slid into the ditch or been stolen it had been joined by about 20 others also flirting with the ditch! The Marlux-Napoleon Games stall and Crelan-Vastgoed Service stalls are doing good business as are the BE Legendary guys selling of the Sven merchandise to locals and outsiders. Back inside and YAY! a Niels spotting! I had to be quick! Some of the others have come and its ‘Happpy New Year’ all round and loads cheek kisses (this is a 3 cheek area!) After a bit of chat (Baby Lauranne had her operation on 30 December and it was apparently successful, YAY!) I head back to the course for the Women’s Race. 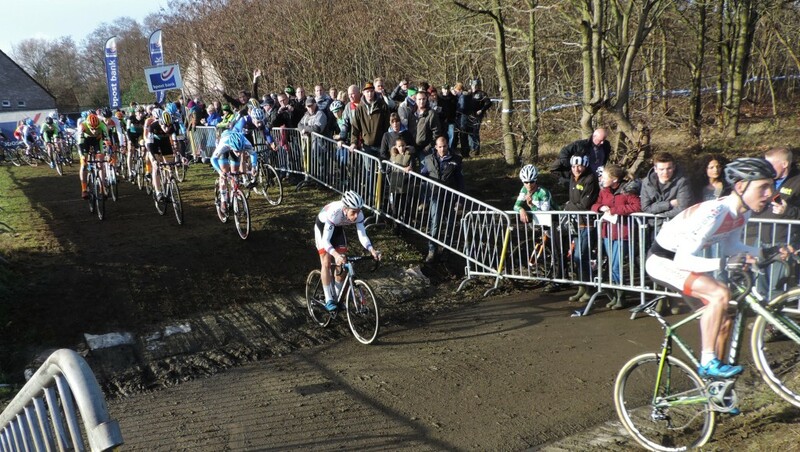 I thought the women would be on TV but when i get home I find I only have a highlights plus the whole last lap. I hope that was just me not recording the right channel and you were all able to watch live. 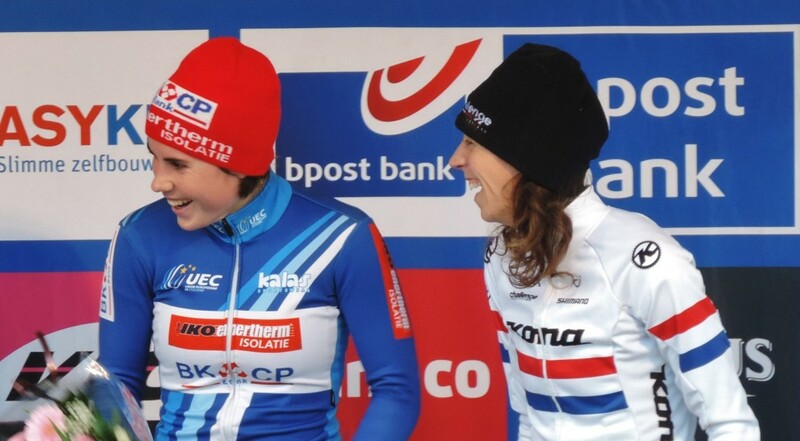 Helen Wyman and Pavla Havlikova made fast starts, but it was Ellen van Loy who set the pace and put in a big effort on the second lap as she did at Diegem. 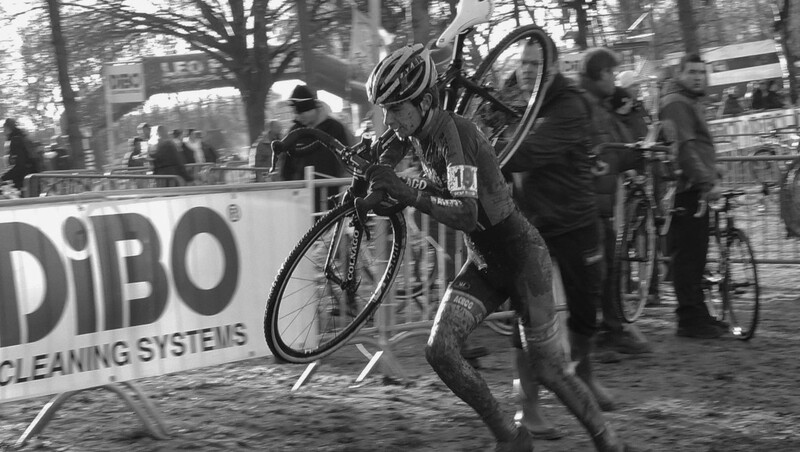 This time though, Sanne Cant was just as strong and closed the gap to her. 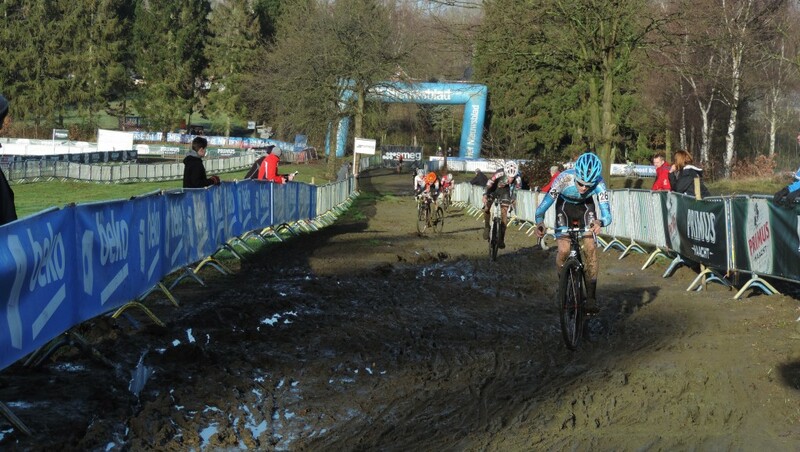 By the start of the last lap Sanne took the lead and never looked back. So good to see Ellen hold on for second and filling the other spot onn the podium was Helen Wyman. Sophie de Boer and Pavla Havlikova were having their own battle for 4th and 5th. On the podium there was some laughs with Sanne getting a bottle of Cactus Juice then a big trophy then a keg of beer then another big cup. I don’t know what the joke was, but I can guess! But guess who was hanging around the start? Double dose of Niels you lucky buggers! 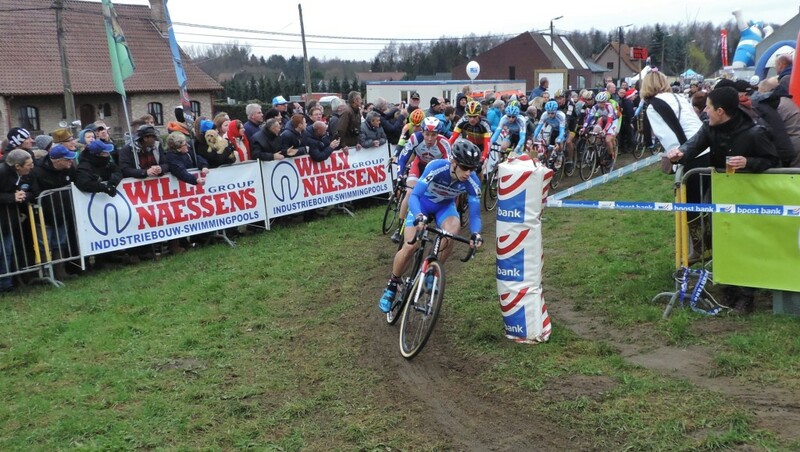 As is his want, Lars van der Haar was bound for the holeshot and pretty much lead the first lap. I’m sure y’all saw the race so I’ll just mention Jan Denuwelaere who was all ready to fix his bike ’til he realised he didn’t have his kit with him. 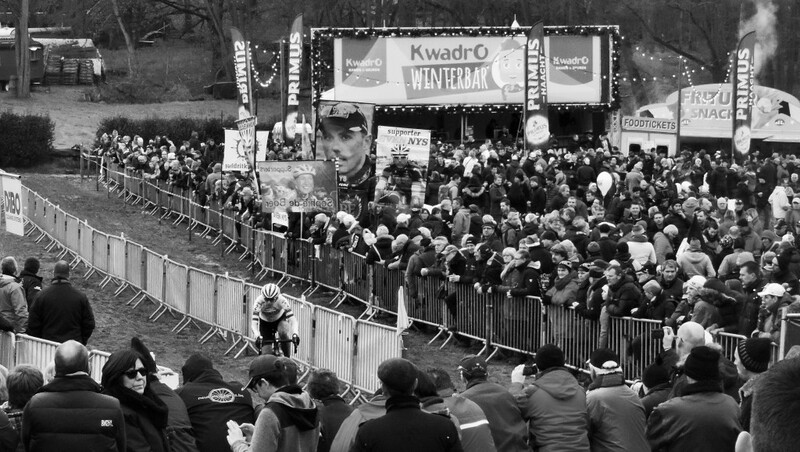 I love being a part of Belgian CX crowds and watching until the leaders come through then turning to watch the big screen. It’s always a surprise to turn back and find there are still other riders coming though and no one watching. 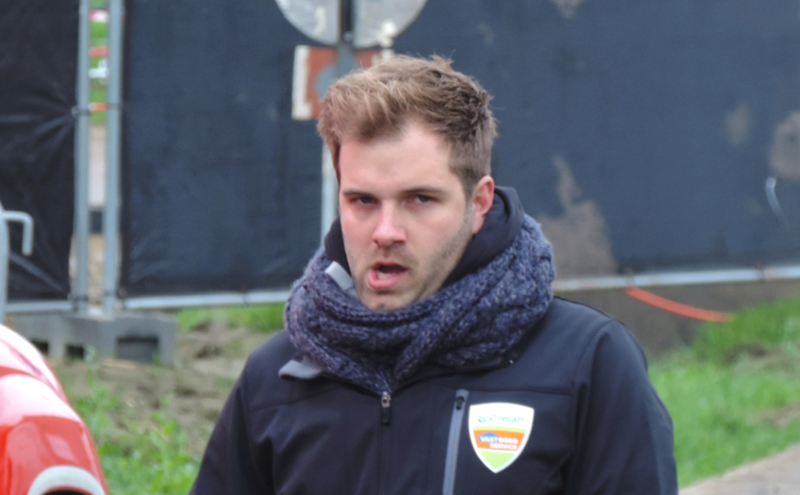 I will also apologise for not getting a single photo of Wout. 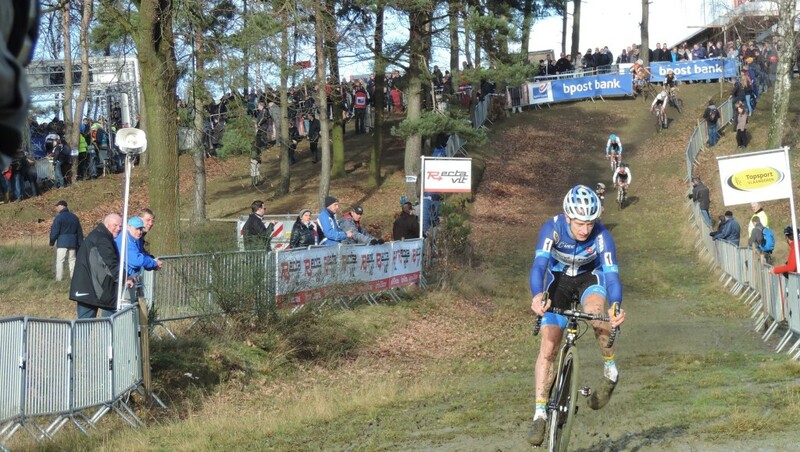 (except this of him practising -Love that Wout’s van Arse has Pauwels written on it) Normally the crowd cheers let you know when the leader is coming through, but I guess today they only had eyes for Sven so I was never ready for Wout; he was always a surprise. 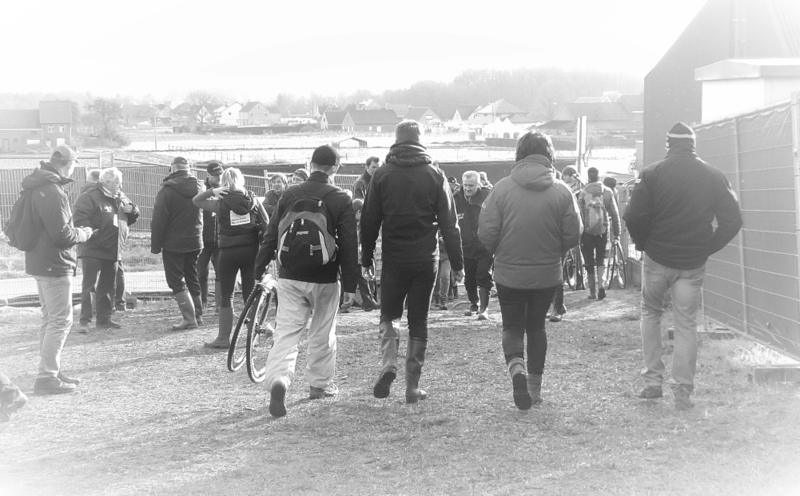 This was always going to be a Sven love-in – his last ride in his home event – so I was prepared to give the Sven fans their moment, but I was a bit pissed off to get laughed at for my usual KOMAAAAAN KEVIIIIIN. 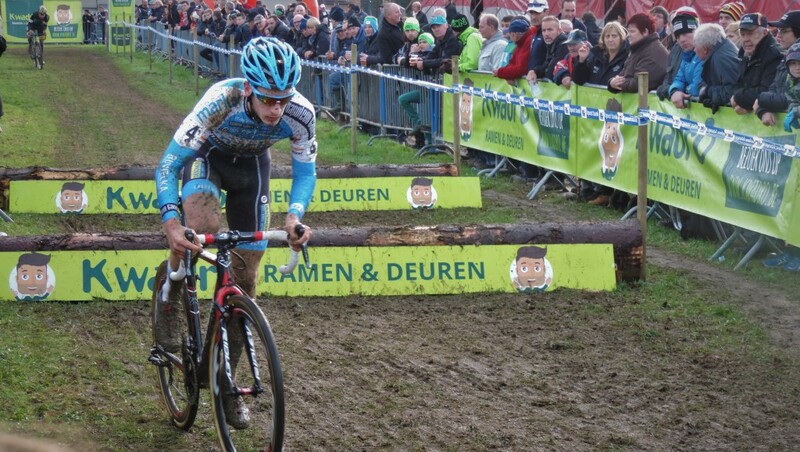 Massive shout to Toon Aerts for that podium spot. The Aerts boys were having a very good day. With Sven taking second there was no point in trying to get a pic of the podium even with the superzoom so I headed for the exit. After unlocking my bike I needed to get my gloves on so stopped to do so. Despite my checking behind me and there being no one there, some bloke walked right into the back of me 10 seconds later. This would not be note-worthy except that the impact caused my extremely expensive fake right thumbnail to shatter. This is like hitting your thumb with a hammer and it throbbed all the way home and well into the next week. Eejit! It was just as well I left when I did as the sun went down as I was riding along the river. The Guys were apparently trying to call me to go to the VIP tent, but, as much as I love riding at night, I usually like the visibility to be better than my little dynamo. It was good enough though and I didn’t end the day in the Demer!